They sinuate through ficus hedges and tunnel under beach towels. They lurk in the mangroves and springs. Some you can smell a mile away. Others you don�t notice until they grab at your ankles. They�re known as Storm Devils and Peat Fairies, Skunk Apes and Were-Panthers, and they�re the wildly imaginative bestiary that populates John Henry Fleming�s Fearsome Creatures of Florida. Fleming offers an eerie portrayal of the parallel lives of modern-day Floridians and the living landscape--at once gorgeous and menacing--that surrounds them. Matched with haunting illustrations by David Hazouri, these tales may forever change your view of the Sunshine State. This book is now being taught in Florida university English classes. 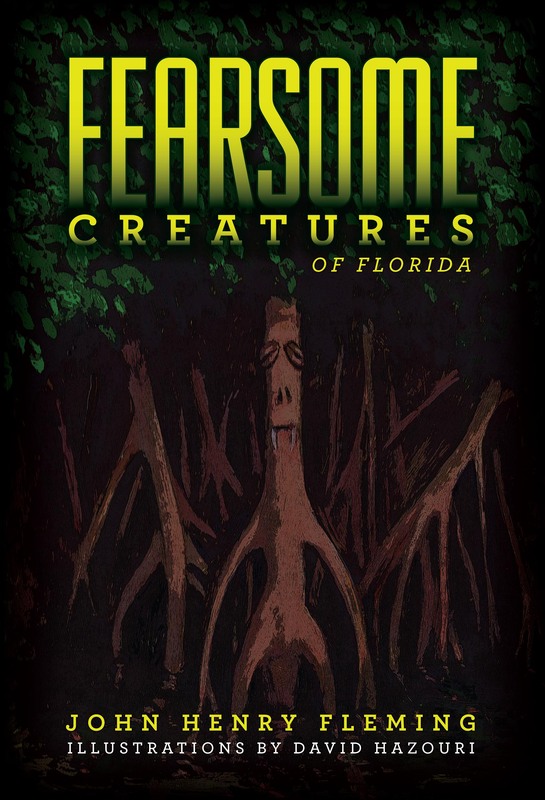 Fearsome Creatures of Florida is also available as an ebook on Amazon.com for the Kindle.